We hear all the time now about how driverless cars will revolutionize the automobile industry. Billions of dollars, yen and euros are being poured into research labs throughout the world to make this happen. The race is on – who will lay the golden egg? 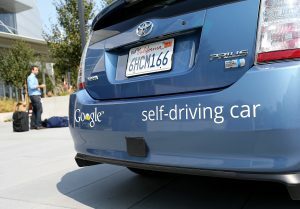 Google has spun out its own company, Waymo, calling itself, “a self-driving tech company with a mission to make it safe and easy for people and things to move around”; Apple’s CTO has described their venture as “the mother of all AI projects”, while relative newcomers to the field, Uber, fancy their chances, too. The rhetoric behind why such a game changer in car control is inevitable is hard to argue against. It usually starts with how many people are killed in car accidents. From the road crash statistics website, we see that “Nearly 1.3 million people die in road crashes each year, on average 3,287 deaths a day. An additional 20-50 million are injured or disabled. More than half of all road traffic deaths occur among young adults ages 15-44.” That makes it the biggest killer amongst young people. 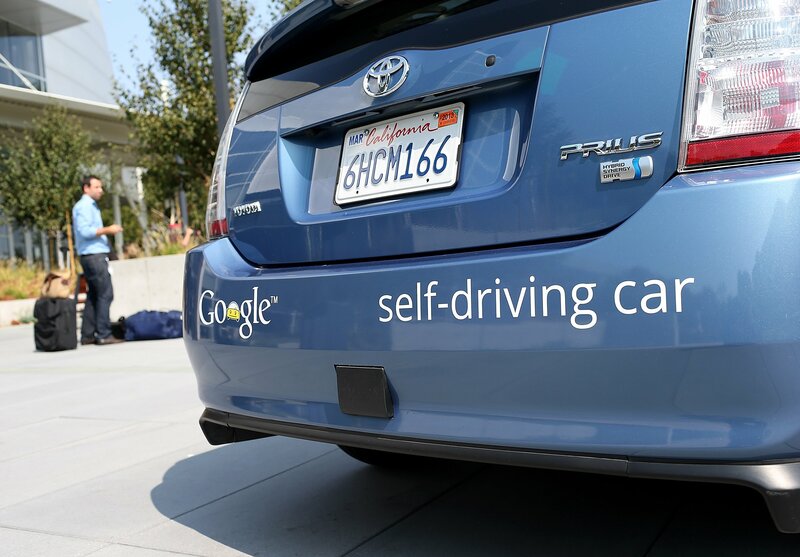 The bottom line is that self-driving cars will make our roads safer by reducing human error. The computer controlled cars will be able to be programmed to be reliable, safe and efficient. Unlike, human drivers, they won’t be susceptible to poor judgement caused by road rage, fatigue, failing eyesight, texting, distraction caused by talking on the phone, etc. Furthermore, driverless cars will enable people who can’t drive, for whatever reasons, to be mobile. Instead of hailing a taxi or waiting for a bus they will be able to call up a driverless car from their garage or a special pod and instruct it to go where they want to. Who would not want such a future? However, there is a long way to go before anyone gets anywhere near the finishing line. It is a ginormous undertaking to work out how to transform society so that the billions of cars we currently use today are replaced by driverless ones. It is not like developing a single piece of tech, such as a smartphone, or even a big piece of tech, such as a process control plant. The amount of computation required to run a driverless car city is likely to involve trillions of lines of code in conjunction with the necessary radar, LIDAR sensors, and other hardware/software (current cars use millions of lines of code to work). 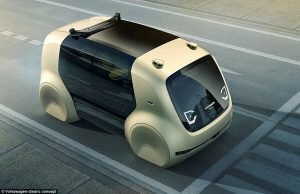 The driverless car city will also need to sort out how to deal with all the legal, social, logistical, ethical and environmental aspects: who is responsible for updating the software, how the cars are taxed, who is responsible for paying out compensation, who pays for the upkeep of the new whole system, whether children can be driven alone in a car and so on. I have been trying to imagine what it would be like to be in Tokyo, Beijing, Paris, London or even Brighton with a new road system that supports self-driving cars. I find it hard to compute. For starters, people are not stupid and they like a bit of mischief. Once they clock that jumping in front of a driverless automated car will result in it stopping in its tracks – all manner of ‘knock down ginger’ car games will come into being. The autonomous car system will quickly come to a standstill especially when a group of teenagers start the craze of flash mob car standstills. Sure, the authorities will eventually make this kind of behaviour illegal but people will still find ways of getting in the way of the driverless cars. And what about bikes weaving in and out and whizzing past the driverless cars? That will give their laser beams a right wobble. Next, the authorities will have to force bike riders and pedestrians to wear sensor and laser tech themselves, too – so a system of systems will have to decide who has priority, whether to stop a car or hoot at a person to stop. 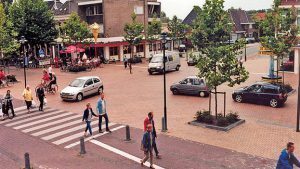 Governments will then have the smart idea of keeping cars, bikes and people segregated – just like they did when building the relatively new city of Milton Keynes. In this modern metropolis, the cars drive above ground on a grid and roundabout system while the cyclists and pedestrians cycle on red paths (called ‘redways’) along a network of canals and through a cobweb of underpasses. The result is a city of isolated burbs that don’t connect (and apparently has one of the lowest cycling levels in the UK). As Ben Evans tweeted the other day, just like “horseless carriages – remove the horse and everything else changes”. There is none of the rub of what a city should really be – amongst which the smells, blasts, sirens, laughter, screams and revving of waiting cars are central. Vehicle autonomy may save more lives than our current cars but at the expense of requiring segregation of the people from their urban centres and separate driverless car networks. Is that what we really want? Perhaps the less lofty goal of augmenting existing vehicles with all manner of driving aids that can help drivers be more alert and help reduce their errors by taking control at opportune times is the best way forward?